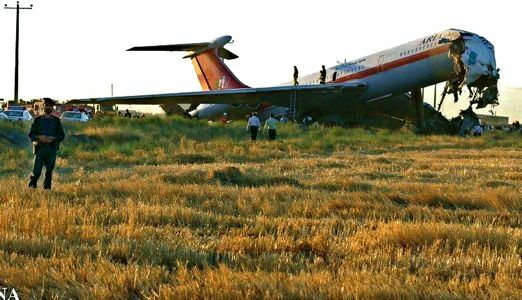 TEHRAN, Iran — Seventeen people died when an Iranian passenger plane caught fire as it was landing and skidded off the runway in the northeast of the country, according to a local official. 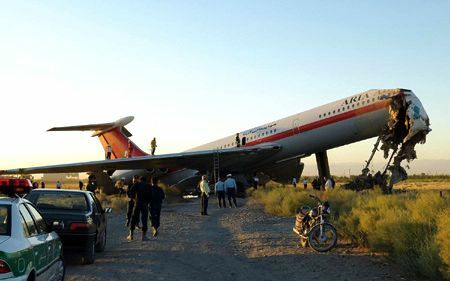 Provincial official Ghahraman Rashid told the state news agency that the tires of the plane from the private Aria airline caught fire during its landing Friday in Mashhad and it crashed into walls near the runway. Another 19 people were injured in the crash in which the cockpit also caught fire. 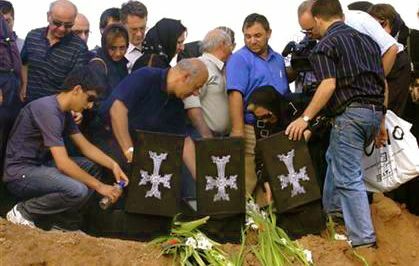 Aria Air Flight 1525 was a scheduled flight which departured from Khazakhstan and crashed on landing at Mashhad International Airport. There were 153 passengers and an undisclosed number of crew on the Russian-made Ilyushin plane. 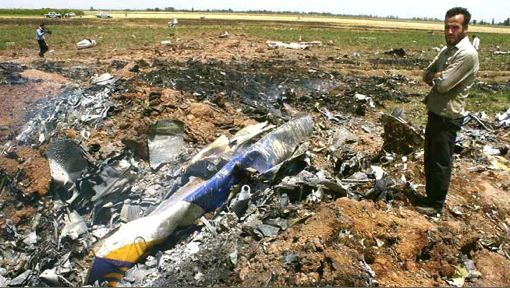 On July 15, an Iranian passenger plane crashed soon after take off, killing 168 people aboard. Iranian airlines, including state-run ones, are chronically strapped for crash, and maintenance has suffered. The aircraft involved was an Ilyushin IL-62M, registered UP-I6208, one of three Il62Ms to have entered service with Aria Airlines earlier in 2009. 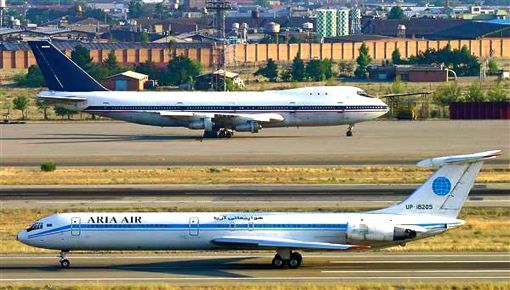 Iranian airlines, including state-run ones, are chronically strapped for cash, and maintenance has suffered. The aircraft was originally in service with East German state carrier Interflug and still bore the airline's red cheatline and tail, although it had served with a number of airlines in Russia, Kazahkstan and Africa, since the demise of Interflug in 1991. 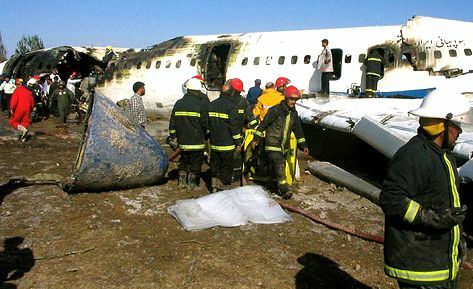 The accident happened at 18:10 Iran Daylight Time (13:40 UTC). The aircraft is reported to have crashed and caught fire on landing. 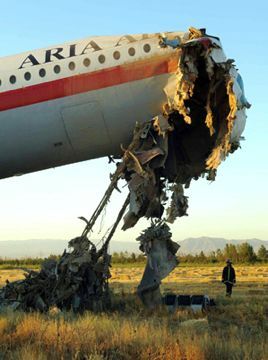 Seventeen people were killed — all occupants of the cockpit, all occupants of the first three rows in the forward passenger cabin, and the cabin crew seated at the front of the passenger cabin — and 136 survived the accident. The pilots, and seven other technicians aboard, were Kazahkstan nationals. The weather on Thursday was good at the time of the accident: wind at 14 knots, 060 degrees; ceiling and visibility unlimited; temperature 33 degrees C; dew point -4 degrees C; altimeter 1012 millibars. The aircraft, however, landed with a crosswind. 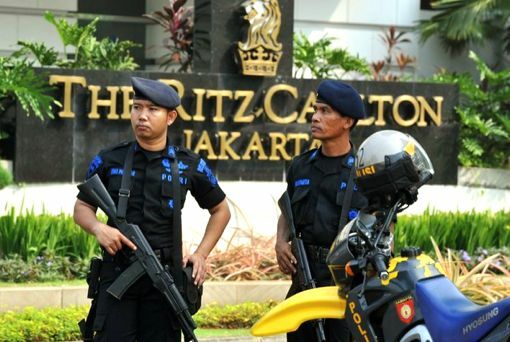 JAKARTA, Indonesia — The attack occurred as the Marriott was hosting a regular meeting of top foreign executives at major companies in Indonesia organized by the consultancy firm CastleAsia said the group which is headed by an American. 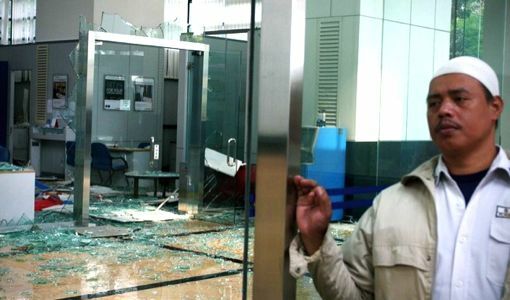 An Australian think tank, the Strategic Policy Institute, had warned the Southeast Asian terrorist group Jemaah Islamiyah might launch new attacks just a day before Friday's deadly strike. 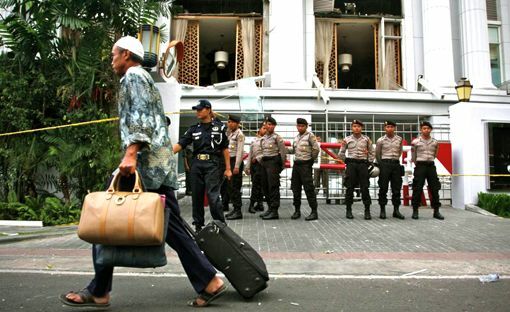 "If they (the terrorists) were to separate explosives and metals they could get through the detectors because the wands the hotels use do not detect explosives," said Jakarta-based security consultant Ken Conboy. 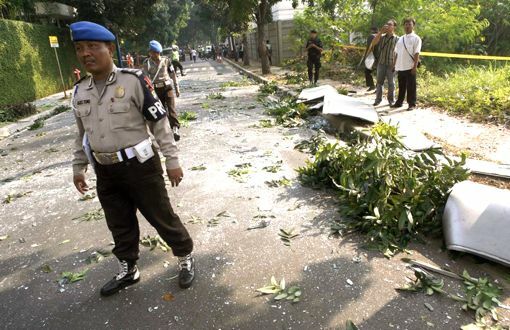 Meanwhile, hundreds of postings on a Web site used by Indonesian jihadists praised the attacks. 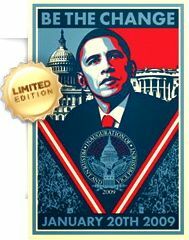 "Mission accomplished," read one posting on the site Arrahmah.com. 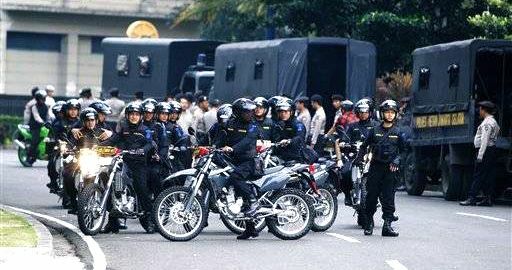 Indonesian President Susilo Bambang Yudhoyono said the attack was carried out by a "terrorist group" and vowed to arrest the perpetrators. He also suggested a possible link with last week's national presidential election. 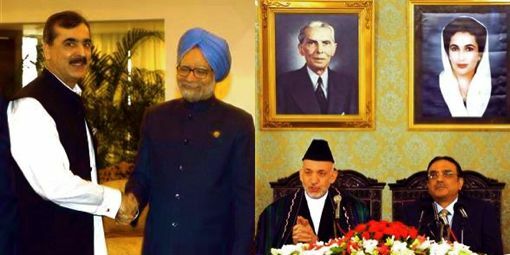 It has been nearly four years since the last major terrorist attack in the world's most populous Muslim nation. 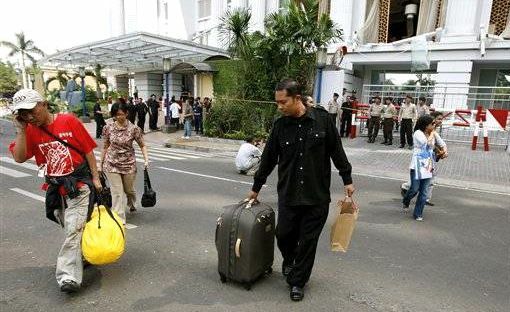 In 2002, a triple suicide bombing attacked two Bali nightclubs, killed 202—mostly foreign tourists. 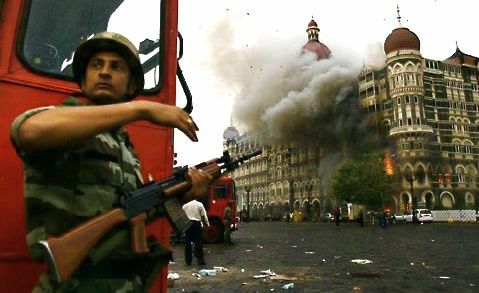 Friday's strikes raised questions about security gaps at high-end hotels, which have become popular targets for militants in recent years, most notably in Mumbai, India, where attacks in November killed 164 people. 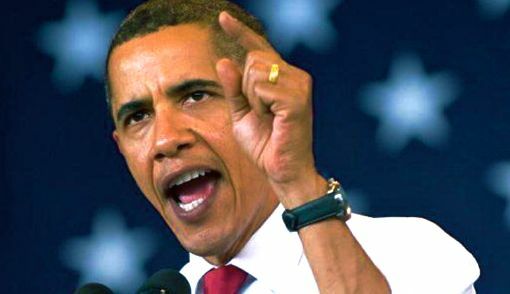 President Barack Obama condemned the "outrageous attacks" and said the U.S. government "stands ready" to help its ally in the effort to combat extremism. 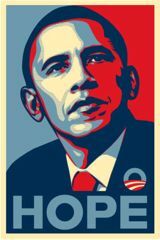 "We will continue to partner with Indonesia to eliminate the threat from these violent extremists, and we will be unwavering in supporting a future of security and opportunity for the Indonesian people," said Obama, who spent part of his childhood in Indonesia. The European Union also condemned the blasts. Two of those wounded at the Ritz-Carlton were employees of Phoenix-based Freeport McMoRan Copper & Gold, Inc. said a company spokesman. He declined to identify the two men or their nationalities, citing company policy, but said their injuries were not life-threatening. Freeport operates the world's largest gold mine in Indonesia's restive eastern Papua province. Several attacks have occurred in the past week on the road from the firm's sprawling Grasberg mining complex to the mountain mining town of Timika, leaving at least 15 people killed or wounded. Authorities initially blamed the ambushes on Papuan separatists, but official statements now refer to "an armed group" of professional marksmen. 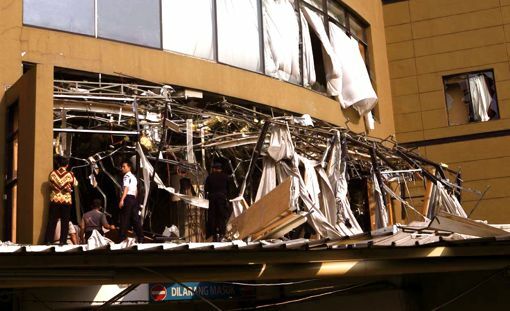 JAKARTA, Indonesia — The suicide bombers set off a pair of blasts at two American luxury hotels in Indonesia's capital, that killed nine people and wounded more than 50, authorities said. While investigators worked to identify the suspects, suspicions hardened that the blasts were masterminded by Noordin Top. 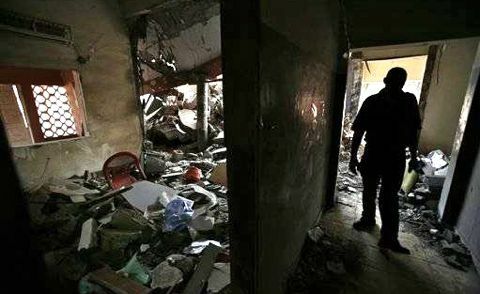 MSNBC Report: Jakarta bombing mastermind close to being ID'd — July 18: Indonesian officials may be close to identifying the mastermind behind two deadly suicide bombings at two hotels. 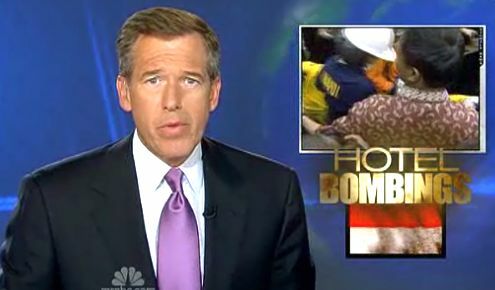 NBC's Ian Williams reports. Suicide bombers posing as guests attacked the J.W. 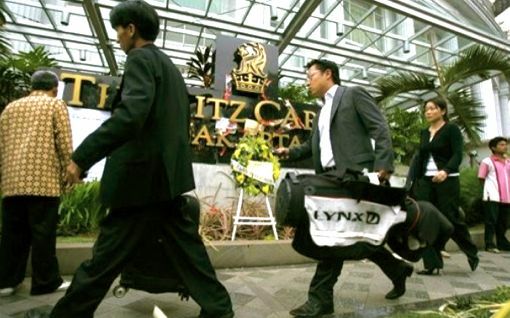 Marriott and Ritz-Carlton hotels in Jakarta on Friday. The attackers evaded hotel security, smuggling explosives into the Marriott and apparently assembling the bombs on the 18th floor, where an undetonated device was found after the explosions. 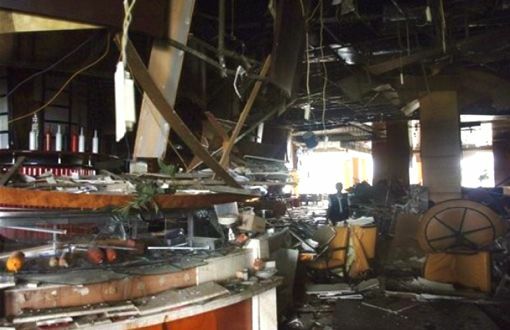 The bombers had stayed at the hotel for two days and set off the blasts in restaurants at both hotels. A police investigator also told The Associated Press on Saturday that Noordin was the most likely suspect. 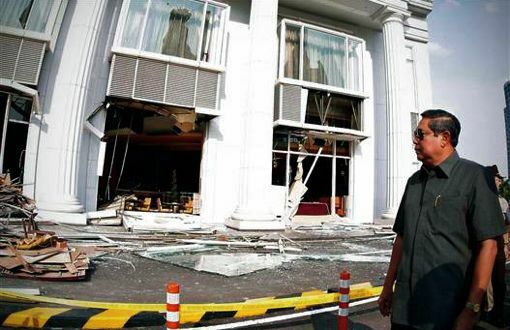 "Considering the target, the location and content of the bombs, it was clearly the work of Noordin" — a Malaysian fugitive who heads a breakaway faction of the Southeast Asian militant network Jemaah Islamiyah. 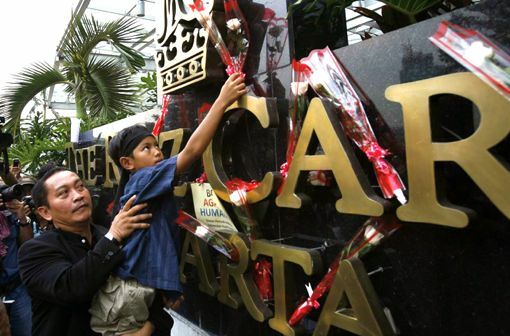 "I'm 200 percent sure this was his work," said Nasir Abbas, a former Jemaah Islamiyah leader turned police informant who has worked with police on investigations into Indonesia's last three terrorist attacks. According to the source of investigators, a hotel receptionist told police that the man who checked into the room gave his name as "Nurdin." He gave a $1,000 cash deposit because he had no credit card, he said. 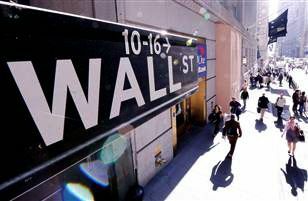 He said police had confiscated handwritten notes, a cell phone and a bomb encased in a laptop computer from room 1808 of the Marriott, where the bombers had apparently prepared for the blasts. 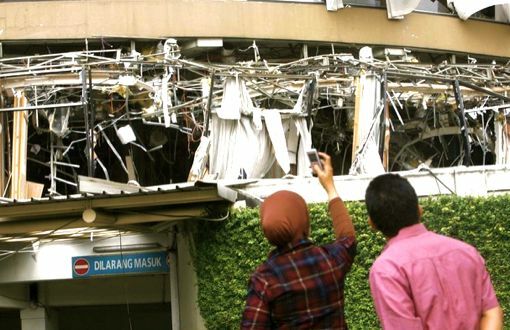 "There was a big explosion followed by a shock wave," said Ahmad Rochadi, a security guard at the Marriott who was checking cars in the basement. 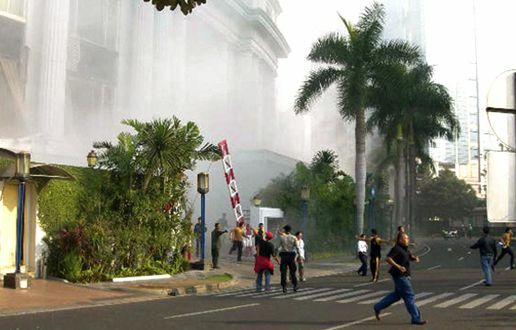 "I rushed upstairs and saw smoke billowing from the lobby." Authorities have not officially named a suspect, but suspicion quickly fell on Jemaah Islamiyah or its allies. 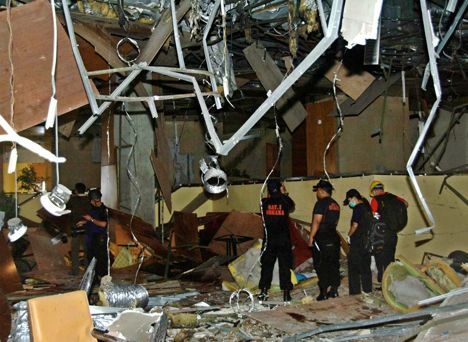 The al-Qaida-linked network is blamed for past attacks in Indonesia, including a 2003 bombing at the Marriott in which 12 people died. The heads of four of the bodies recovered from the blast scenes — two at each hotel — had been blown off, the police investigator said. 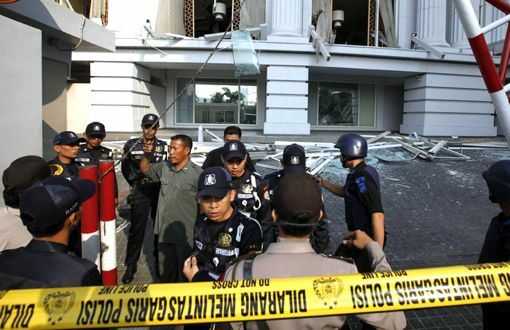 Deadly blasts rock Indonesia hotels — July 17: Two suicide blasts, just minutes apart, rip through two luxury hotels in Jakarta, killing at least 9 people and injuring dozens. Police say the suspects posed as guests before setting off the explosions. NBC's Ian Williams reports. 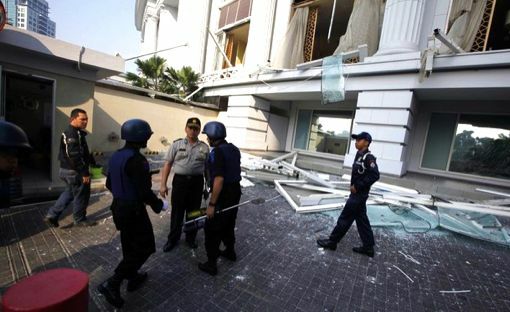 JAKARTA, Indonesia — Bombs minutes apart ripped through two luxury hotels in Jakarta Friday, killing nine and wounding at least 50 more, ending a four-year lull in terror attacks in the world's most populous Muslim nation. 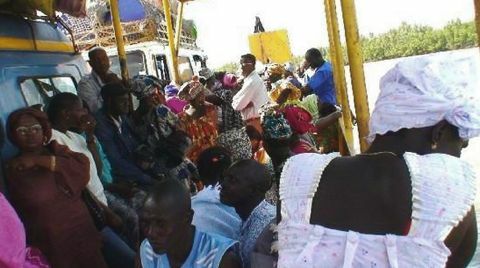 At least 14 foreigners were among the dead and wounded. The blasts at the J.W. Marriott and Ritz-Carlton hotels, located side-by-side in an upscale business district in the capital, blew out windows and scattered debris and glass across the street, kicking up a thick plume of smoke. Facades of both hotels were reduced to twisted metal. 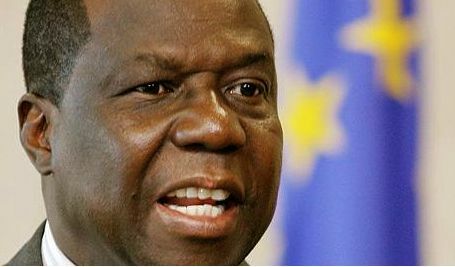 Theo Sambuaga, chairman of the parliamentary security commission, said there were "indications" the attacks were carried out by suicide bombers. 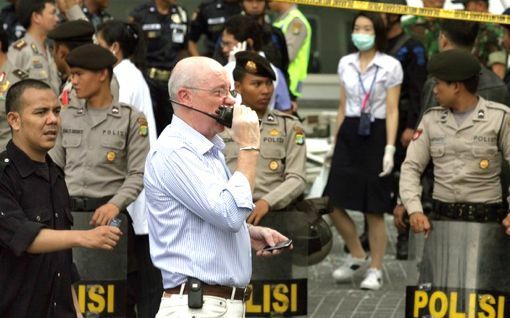 The Indonesian security minister and police have said a New Zealander was among those killed. 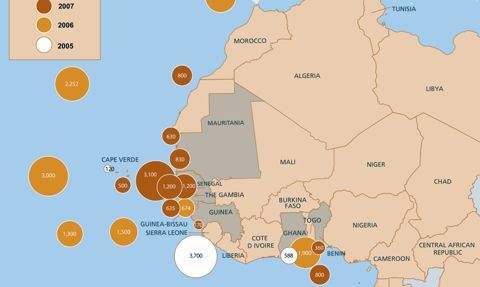 Thirteen other foreigners were among the wounded, including nationals from the United States, Australia, Canada, India, the Netherlands, Norway and South Korea. Alex Asmasubrata, who was jogging nearby, said he walked into the Marriott before emergency services arrived and "there were bodies on the ground, one of them had no stomach," he said. "It was terrible." At the Ritz-Carlton, torn curtains flapped around broken windows and glass lay around the hotel. There was blood on the street across from the Marriott. Scores of foreigners and Indonesian hotel guests milled behind police lines in the hours after the blasts, some still wearing bathrobes. "It was very loud, it was like thunder, it was rather continuous, and then followed by the second explosion," said Vidi Tanza, who works near the hotel, describing the blasts. 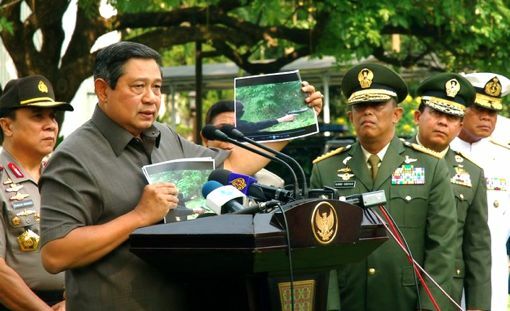 Indonesian President Susilo Bambang Yudhoyono vowed in a televised address to the nation. 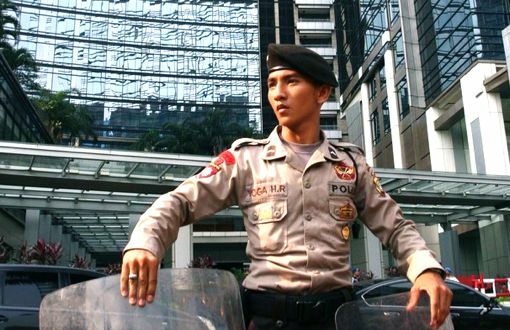 He vowed to arrest the attackers and said, "this action was carried out by a terrorist group, though it is too early to say if it is the same network responsible for a series of bombings in Indonesia in recent years, the Southeast Asian group Jemaah Islamiyah. Those who carried out this attack and those who planned it will be arrested and tried according to the law." 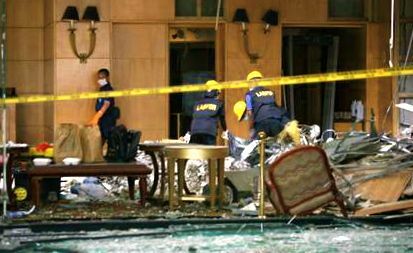 The Marriott, which was attacked in 2003 in a bombing blamed on al-Qaida-linked Jemaah Islamiyah, was hit first, followed by the blast at the Ritz two minutes later. 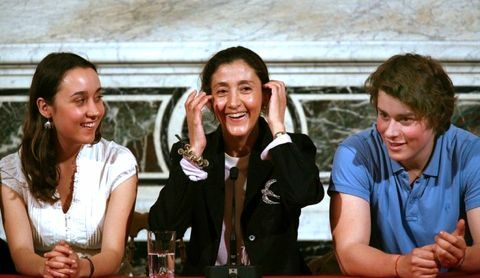 The attacks came just two weeks after presidential vote expected to re-elect Susilo, who has been credited with stabilizing a nation previously wracked by militancy. 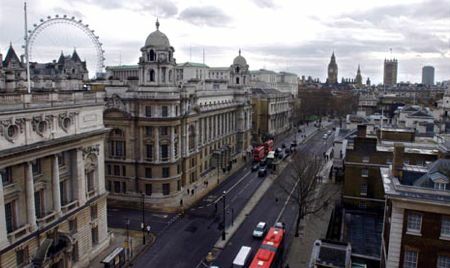 Anti-terror forces were rushed to the scene, and authorities blocked access to the hotels in a district also home to foreign embassies. 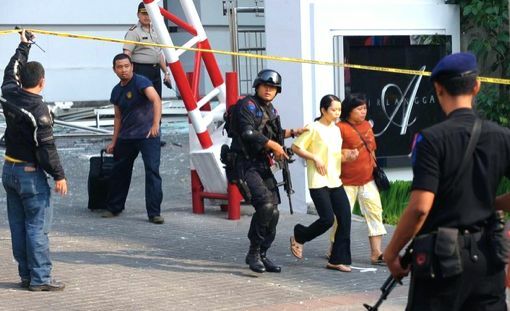 "This destroys our conducive situation," Sucipto said, referring to the nearly four years since a major terrorist attack in Indonesia — a triple suicide bombing at restaurants at the resort island of Bali that killed 20 people. Anti-terror forces were rushed to the scene, and authorities blocked access to the hotels in a district also home to foreign embassies. "This destroys our conducive situation," Sucipto said, referring to the nearly four years since a major terrorist attack in Indonesia. 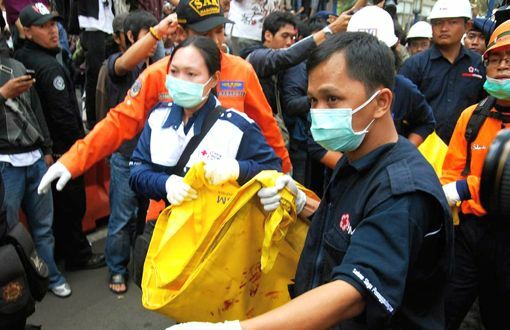 In October 2002 a triple suicide bombing attacked two Bali nightclubs, and killed 202 people, many of victims were foreign tourists. Jemaah Islamiyah was accused of responsibility. 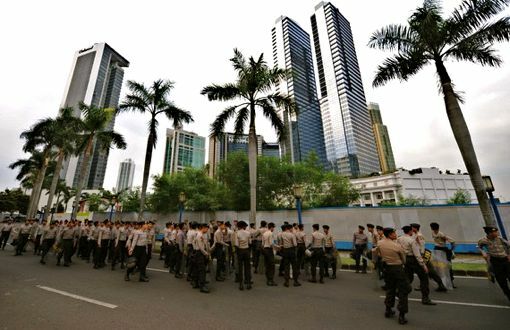 There was a crackdown in recent years by anti-terrorist officials in Indonesia, a predominantly Muslim nation of 235 million,Police have detained most of the key figures in the Indonesia-based Jemaah Islamiyah and rounded up hundreds of other sympathizers and lesser figures. 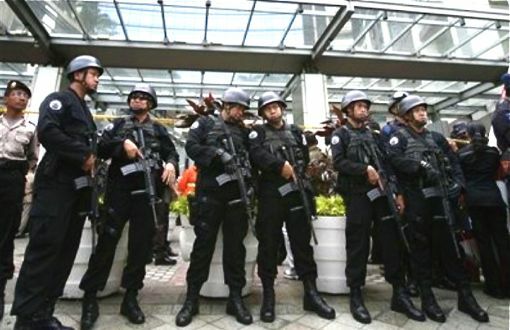 But the group was "still a very capable terrorist organization," a terrorism analyst said. ▶Auto-Tune the News #1: march madness. economic woes. pentagon budget. 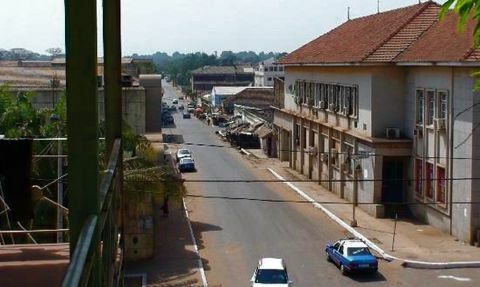 Continued from previous issue　｜BISSAU, Guinea-Bissau — Forsyth was a Royal Air Force pilot in the late 1950s, then spent 12 years as a foreign correspondent for the Reuters news agency and the BBC. His first attempt at fiction, "The Day of the Jackal," was about a plot to assassinate President Charles de Gaulle of France. Published in 1971, it was an international best-seller. In 1974 came "The Dogs of War," set in the fictional nation of "Zangoro," which he said was modeled after the oil-rich Central African dictatorship of Equatorial Guinea, some 1,700 miles southeast of Guinea-Bissau. 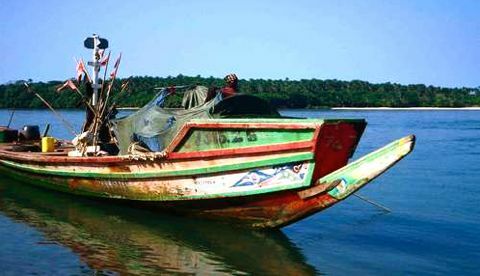 Forsyth's next novel, which he expects to publish next year, will be set in Guinea-Bissau. 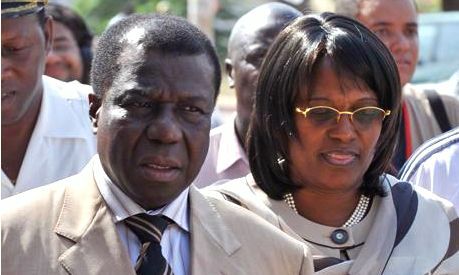 Forsyth was long rumored to have financed a 1973 attempted coup in Equatorial Guinea. But he dismissed the claims as "imaginary fantasies" spurred by people who saw him interviewing mercenaries for "The Dogs of War" around the same time. Dressed in khaki pants and a loose white shirt, the sprightly, 70-year-old author said he always works the same way: story idea, then research, travel and interviews with people who have experienced the things he wants to write about. 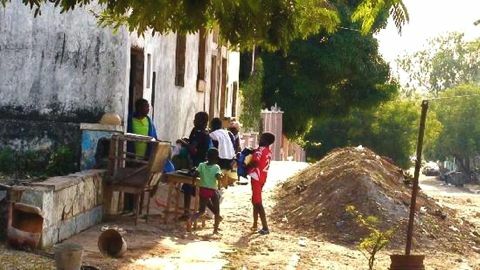 He spent much of his three days in Bissau talking with expatriates. At 10 pages a day, he figures it will take him October and November to write the novel. 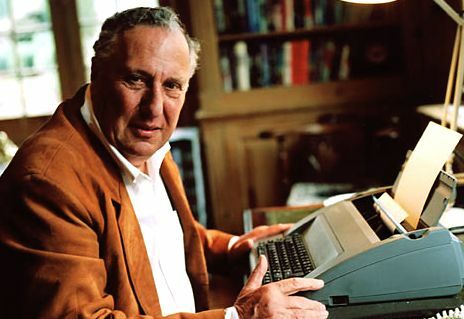 It will be another "international thriller involving the usual mix of forces of law and order, criminality, special forces, U.S. Green Berets, a coup d'etat, and a lot of money," Forsyth said. "But there will be surprises. It's not going to be what you just read about in the news." 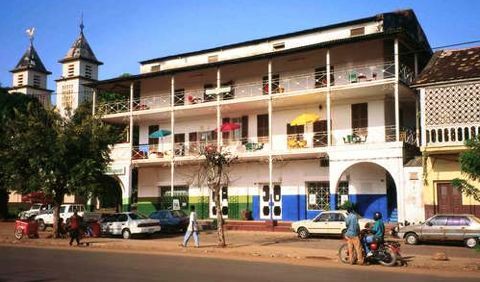 Forsyth's next novel, which he expects to publish next year, will be set in Guinea-Bissau. He said he has stopped inventing fictional places "because the world is so weird and so scary, you might as well use the real ones." He said his vantage point is that he can speak more freely than government officials and see the nation's history "from an outsider's point of view." 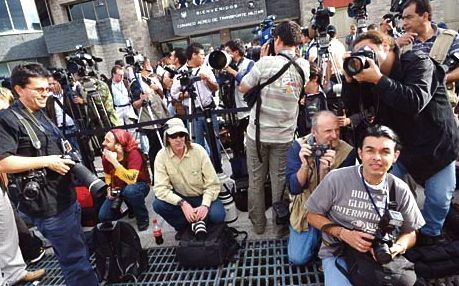 Asked if he misses the life of a foreign correspondent, Forsyth said: "Investigative journalism is like a drug. When you write, it's very hard to walk way." "If push comes to shove I could still cover a story. 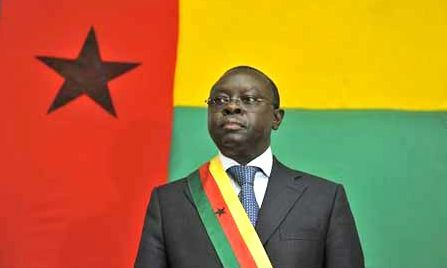 But in Guinea-Bissau, there is no need to exaggerate," he said. "This place is for real." 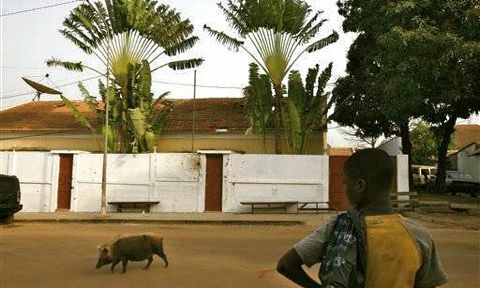 BISSAU, Guinea-Bissau — It could have been a scene right out of one of his own thrillers. And when his next novel is published, it may very well be. 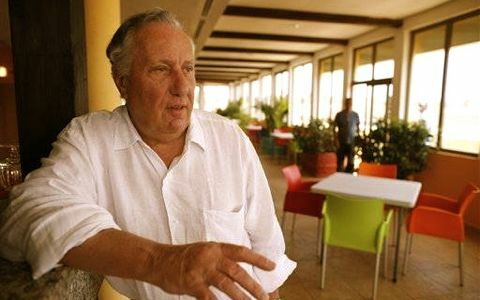 British author Frederick ("The Day of the Jackal") Forsyth jetted into coup-prone, cocaine-plagued Guinea-Bissau this week to research his latest novel, and found real life trumping fiction. 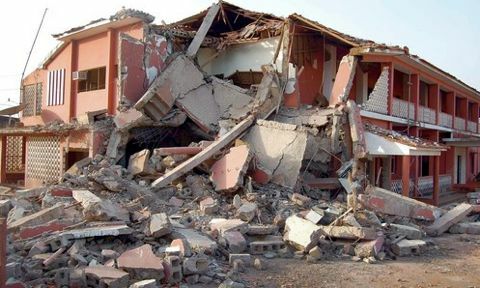 Hours before he touched down in the West African nation, a bomb hidden under a staircase blew apart the armed forces chief. Hours later the president was gunned down, and according to Forsyth, hacked to pieces. 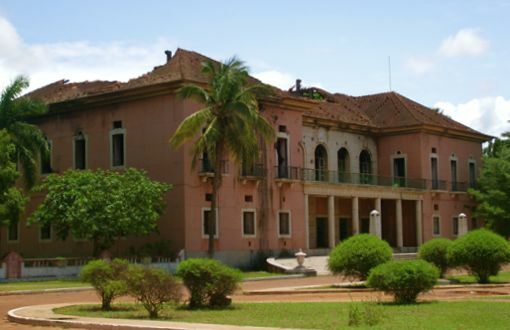 The double assassination of President Joao Bernardo "Nino" Vieira and his military rival, Gen. Batiste Tagme na Waie, shocked Guinea-Bissau. The incident clouded this sweaty equatorial capital in the kind of mystery and intrigue often detailed in Forsyth's own fiction about assassins, spies and coups. 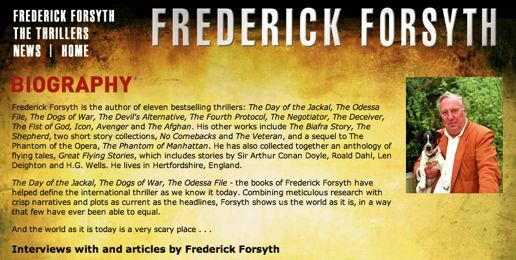 Forsyth's presence here inevitably raised the association with his hit novel, "The Dogs of War," about mercenaries trying to stage a coup in a mineral-rich, African backwater. 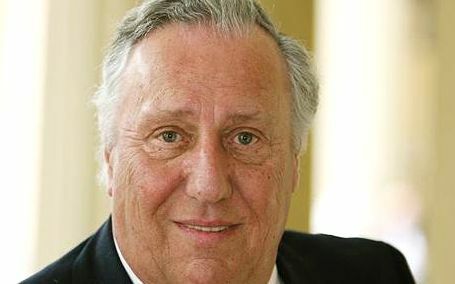 "I didn't come for a coup d'etat or regime change, but that's what I ran into," Forsyth said over coffee at his hotel, where The Associated Press found him. He said he couldn't sleep and was in his hotel bed reading when he heard a boom before dawn Monday and thought, "that wasn't a car door slamming." The explosion was blocks away at Vieira's modest downtown villa — the beginning of the president's end. 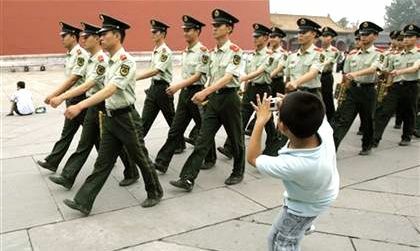 Forsyth went out that day and saw army troops patrolling the streets. They left him alone. 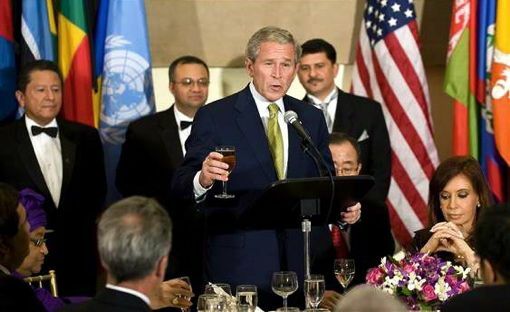 That night, he had dinner with the Dutch pathologist who autopsied Vieira and had spent the morning "trying to put the president back together again." According to Forsyth's sources, the 71-year-old ruler survived an initial rocket attack, got up, was shot four times, then was "slung into the back of a pickup truck ... and cut to pieces with machetes" by soldiers bent on avenging their own chief's death. Forsyth said he came here for "the flavor, the odor, of a pretty washed up, impoverished, failed West African mangrove swamp." 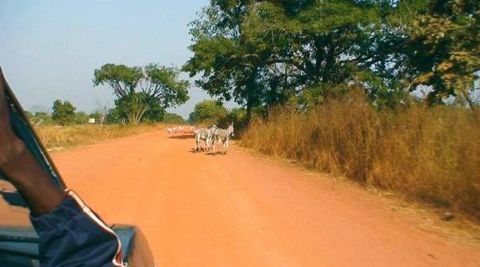 "I thought, what is the most disastrous part of West Africa, and by a mile, it's Guinea-Bissau," he said. If you drive around you'll see why. "One wrecked building after another, one mountain of garbage after another. A navy with no ships, an air force with no airplanes. 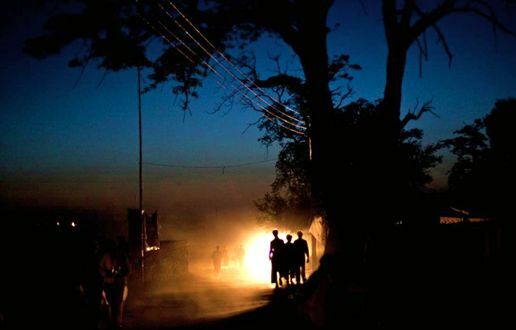 No infrastructure, no electricity. Everything is purchasable." ブッシュと米国政治 ／ イラク戦争レポート ／ テロとスパイ陰謀 ／ アルカイダ 2.0 核のテロ ／ アフガン タリバンの復活 ／ パキスタン戒厳令の季節 ／ 次世代冷戦時代 ／ ユーラシアの回廊 ／ 中東のパワーラビリンス ／ 中東核戦争 ／ グローバルウォー ／ ロシア・グルジア紛争 ／ インド ムンバイテロ ／ ソマリアの海賊 ／ イスラエル・ガザ戦争. 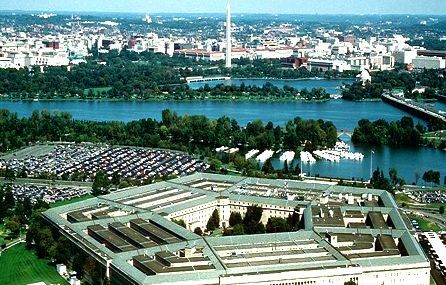 . . . .
ALEXANDRIA, Virginia — A former Pentagon analyst has been sentenced to nearly five years in prison for giving secret military information to a New Orleans furniture salesman who turned out to be a Chinese spy. At a sentencing hearing in U.S. District Court, Gregg W. Bergersen, 51, of Alexandria, apologized and said he never meant to hurt his country. 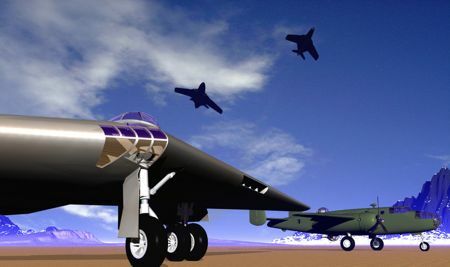 Bergersen thought that Louisiana businessman Tai Kuo, the recipient of the information, was aligned with the Taiwanese government and that the information was furthering the establishment of a sophisticated new air defense system in Taiwan, called Po Sheng. But Kuo was actually a spy for the People's Republic of China and was relaying the information provided by Bergersen to the Communist regime in Beijing. "I did not do it for financial gain," Bergersen said, holding back tears. "I somehow in my mind, as convoluted as it sounds, acted out of a perverted sense that the end justifies the means." Prosecutors, though, said Bergersen was indeed motivated by financial gain, citing the thousands of dollars that Kuo gave him on gambling trips to Las Vegas, as well as Kuo's promise of future employment after Bergersen retired from the federal government. "He knew he needed to give Kuo information that the public didn't get so Mr. Kuo would keep lavishing gifts on him," said prosecutor W. Neil Hammerstrom. Hammerstrom also said Bergersen's claim that he acted solely out of motivation to advance the Po Sheng program is dubious, because the information he provided would have done little. 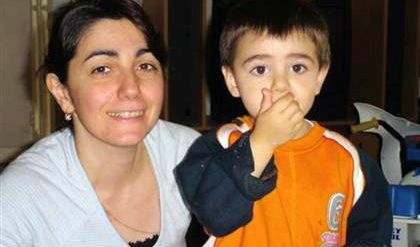 The 57-month sentence imposed by U.S. District Judge Leonie Brinkema was less than the sentence of seven to nine years sought by the government. 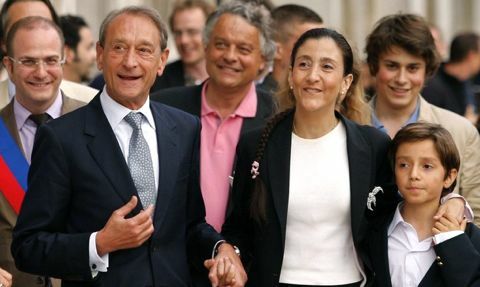 Brinkema said she departed from the federal sentencing guidelines, which also called for a 7- to 9-year term, in part because of a classified memo filed by the government that apparently detailed the damage caused by Bergersen's actions. Brinkema said she concluded from the memo that the information provided by Bergersen caused relatively little harm to national security. Hammerstrom disputed that conclusion, saying a full damage assessment has not yet been made. 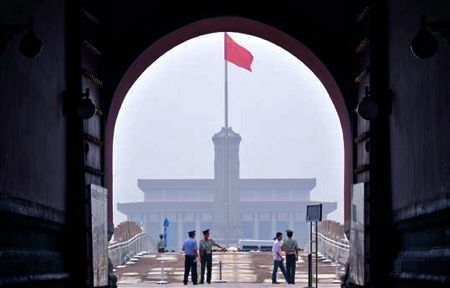 Taiwanese officials said shortly after Bergersen and Kuo were arrested in February that the espionage caused some damage but did not compromise key technology. Kuo, 58, who has pleaded guilty to espionage, is scheduled to be sentenced later this month. He is a naturalized U.S. citizen and a native of Taiwan. His family is prominent in Taiwan — he is the son-in-law of Xue Yue, a Chinese nationalist general who was a close associate of Chiang Kai-shek. 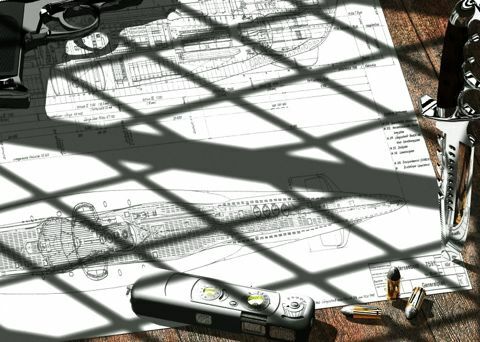 The Bergersen case is one of more than a dozen in the last few years involving either traditional spying or economic espionage related to China. 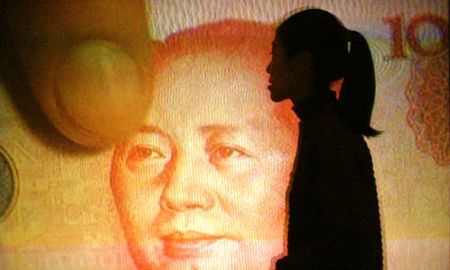 U.S. officials have warned in the last year of increasing espionage efforts by Beijing. 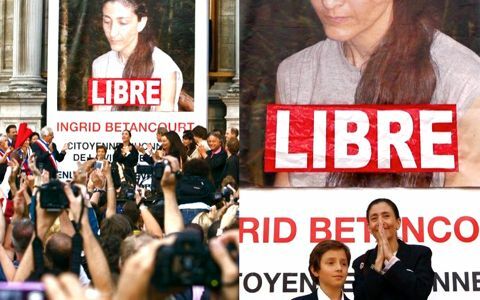 PARIS — Former hostage Ingrid Betancourt arrived in France to a hero's welcome Friday after six years being held by leftist rebels in the Colombian jungle. Betancourt said she "cried a lot during this time from pain and indignation," she said, today "I cry with joy." 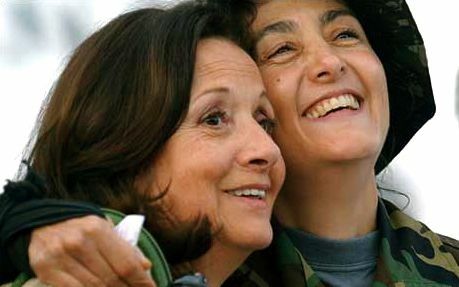 "It's a very, very moving moment for me: Breathing the air of France, being with you," Betancourt told supporters and reporters gathered on the windswept tarmac. 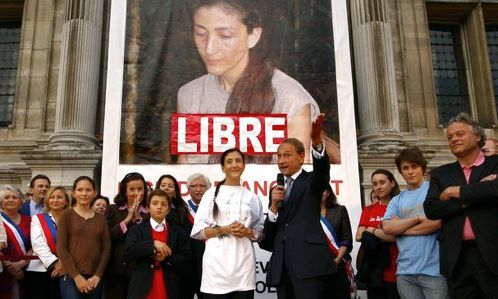 "France is my home and you are my family." 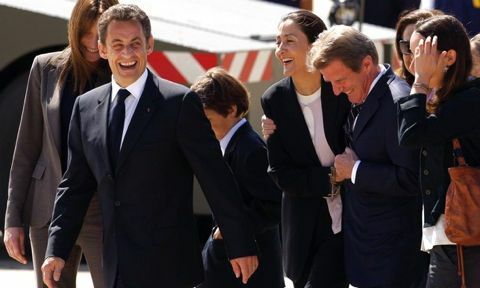 President Nicolas Sarkozy and first lady Carla Bruni-Sarkozy greeted the French-Colombian politician with hugs, kisses and broad smiles at the Villacoublay air base southwest of Paris. 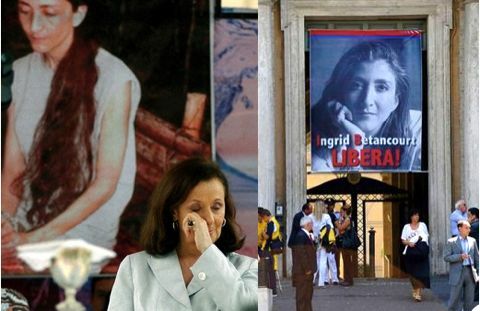 Betancourt was campaigning for Colombia's presidency when she was kidnapped in 2002. 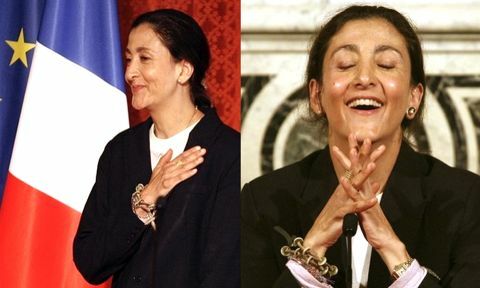 She became a cause celebre in France, with her portrait hung on town halls and constant street rallies by supporters. 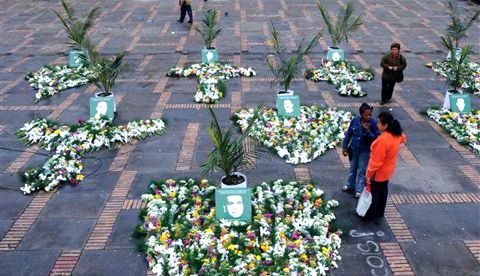 She was freed Wednesday in a daring Colombian operation involving military spies who tricked FARC rebels into handing over Betancourt and 14 other hostages without firing a shot. 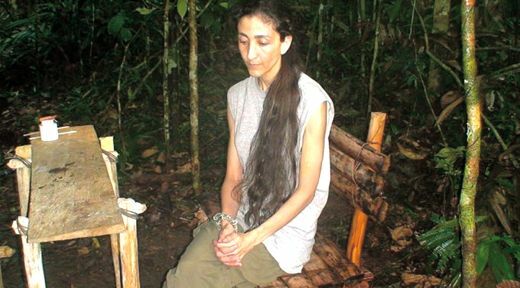 She recalled humiliating treatment by the FARC, saying she had to wear chains 24 hours a day for three years. 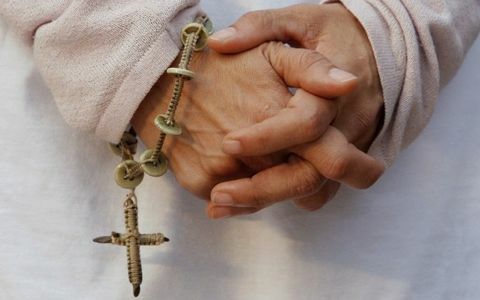 "When you have a chain around your neck, you have to keep your head down and try to accept your fate without succumbing entirely to humiliation, without forgetting who you are," she said.